Oh, the versatility of braiding. I don't know who came up with it in the first place, but it sure is brilliant! It works best on dirty hair, so it's a perfect excuse for a lazy or busy day, and it's even better if your hair happens to be messy to begin with. So, for all you novice braiders, get your bobby pins and your hair elastics, and let's go through a bunch of easy braid tutorials that will have you experimenting in no time. 1. Rodarte braids by Hello Natural. One of our favorite no-fail hairstyles is inspired by Rodarte, and it features an "artfully messy" combination of braids and loose hair. 2. The loose braid by One-O. Start with a half-updo and a pretty ribbon, then loosely braid the lower half for a relaxed, effortless hairstyle. 3. The 10-minute fishtail updo by Pearls on a String. This style works great on messy hair, and it's basically a fishtail braid turned into a cool bun. 4. Braided hairstyle for summer by Advice From a Twenty Something. Ideal to dress up medium-length hair, this asymmetrical braid only takes a few minutes (and two hands) to put together. 5. Chain link hair tutorial by Ducklings in a Row. Replace your regular braiding style with a new, but equally easy to do style: the chain link. 6. Double side braids by Birdie Shoots. An easy, transitional hairdo, which you can take from the gym straight to dinner without much effort. 7. 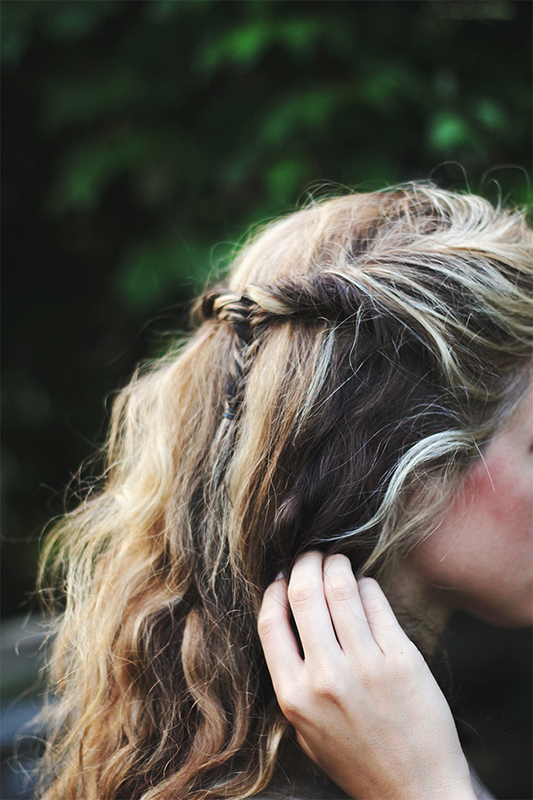 Faux braided crown by Hair Romance. Fake your way to a cool braided crown, with just some elastics, bobby pins and basic braiding knowledge. 8. Double braid hair tutorial by Sincerely, Kinsley. 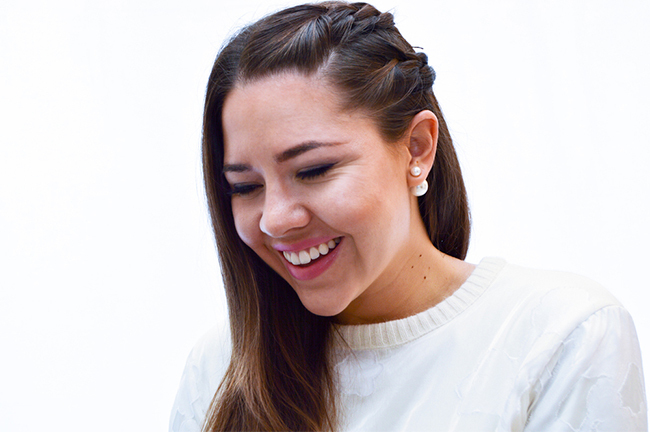 Double up on the fun of braiding with this effortlessly cool hair tutorial. 9. Five minute braided bun by A Beautiful Mess. For those days when you only have 5 minutes to look impeccable, try this combination of braid and bun. 10. Kate Middleton's famous half-up hairstyle by Love Maegan. This is not a braid in the real sense of the word, but if it's worthy of royalty, it's worthy of us, too. 11. Braided updo by Hello Natural. 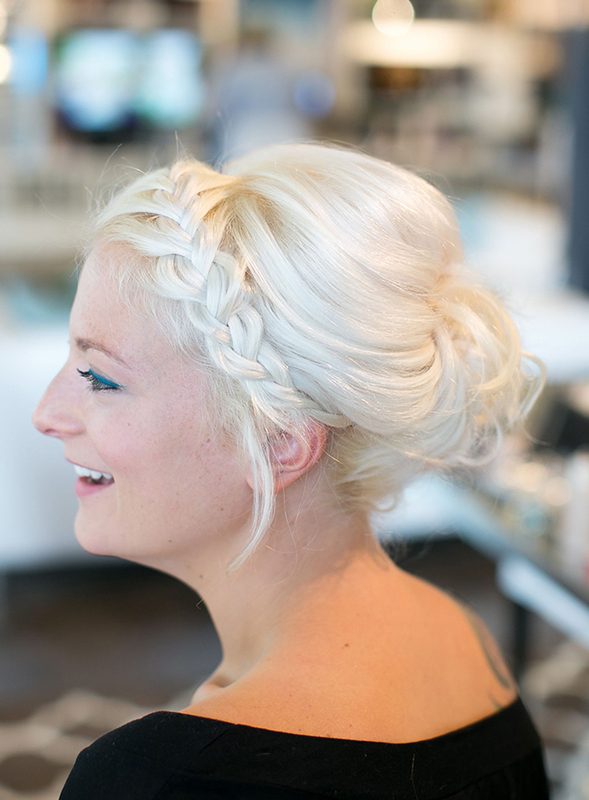 This fabulous updo works on special occasions and it combines braiding with teased hair in a messy-chic look. 12. Faux braid tutorial by The Shine Project. You just need a few clear elastics from the grocery to get this faux braid, the perfect solution for beginners. 13. An easy braided hairstyle by Divine Caroline. Begin with your childhood pigtails and finish with a stylish, versatile hairstyle. 14. Easy braid chignon by Erika Naaka. Transform a low braided pony into a one of a kind, elegant chignon that will draw all eyes on you. 15. Relaxed triple braid by Cupcakes and Cashmere. You'd think a triple braid comes with a lot of baggage, but this one doesn't! And you can actually do it with hair ties and bobby pins. 16. Mini-fishtail twist by The Merrythought. This hairstyle combines a half-updo with fishtail braiding and some twisting, which makes it versatile and romantic at the same time. 17. Knotted side braid by Camille Styles. For a simple, yet intricate hairstyle, just knot your low pony over and over. This tutorial shows you how to do it quickly and keep it good looking. 18. Twisty little bun by Craft Your Style. Easier than a French braid, but looking just as beautiful, this twist on the classic bun can be taken from day to night. 19. Barely there braids by Byrdie. For a subtle, bohemian look, a single thin braid in an apparently random position will go a long way. 20. Dutch braid on short hair by The Beauty Department. Just because your hair lacks length doesn't mean it should lack braids as well!